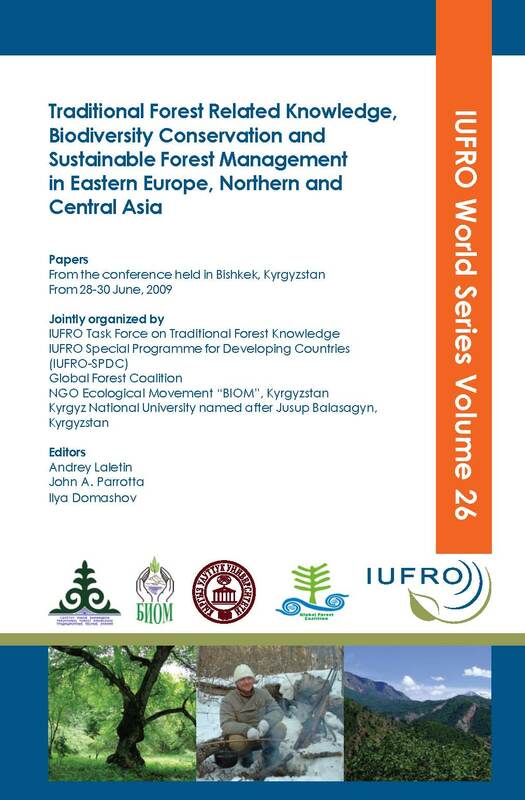 Volume 26: Traditional Forest Related Knowledge, Biodiversity Conservation and Sustainable Forest Management in Eastern Europe, Northern and Central Asia. Andrey Laletin, John A. Parrotta, Ilya Domashov (editors). Vienna, 2011 – 78 p.
Forests and woodlands that are the traditional homes of local communities in Eastern Europe, Northern and Central Asia have historically been managed by these communities themselves, or more recently in collaboration with government agencies. Traditional forest-related knowledge (TFRK) and innovative forest management practices, developed over centuries, have contributed significantly to the natural and cultural heritage of the region, and sustained production of multiple goods and services that enhance livelihood security and quality of life for people. The conference provided a platform for sharing of information and exchanging experiences among scientists, the holders and users of traditional knowledge, non-governmental organizations, forest managers and other relevant stakeholders related to forest biodiversity and traditional forest-related knowledge. The conference highlighted the importance of traditional knowledge towards achieving the Millennium Development Goals, the objectives of the Rio Conventions, and its contributions to sustainable forest management. Editors: Antonio M. Daño, Karen Rae M. Fortus, Sim Heok-Choh. 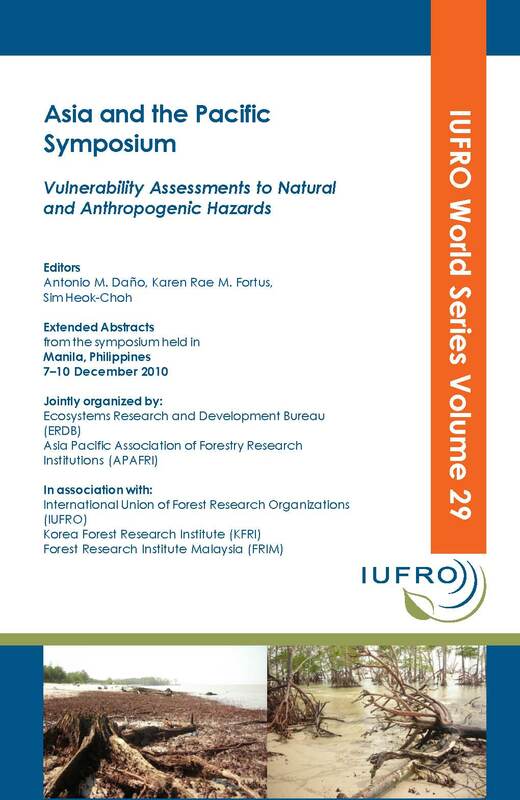 Kuala Lumpur, 2011 – 95 p.
In December 2010, a symposium was held in Manila, the Philippines, to lo0k at the vulnerability of ecosystems to natural and anthropogenic hazards and how best to assess it. The main objective of the symposium was to enhance the capability and capacity of participants in conducting vulnerability assessment of various ecosystems. It served as a venue for exchange of knowledge and initiatives in vulnerability assessment. The symposium was also expected to come up with output materials that will be useful in preparing appropriate programmes/projects to deal with the inherent biophysical and socioinstitutional characteristics of ecosystems and the stressors of the resources including the impacts of climate change.